Chess has been perceived as difficult and serious board game. However, it does not mean that you cannot teach it to kids. 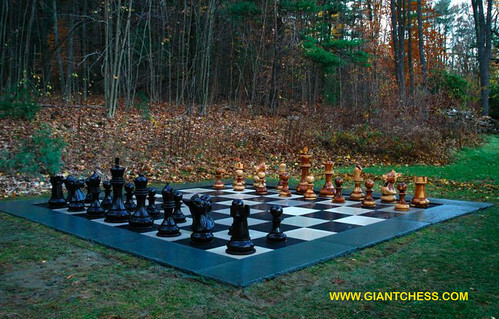 Giant chess will add fun into the game teaching in this holiday season. Placed in your garden, you will have a valuable holiday with your kids. For kids and adolescent, outdoor game is more attractive and they can enjoy in their school holiday. By play outdoor game, the kids can feel different atmosphere. And the perfect game for kids is outdoor chess game. Our chess has made from best quality of Teak wood, so the products are very durable and has beautiful carved.